The chart below shows a veritable death march in the state of American residential property. The index of pending home sales fell to a new record low and replaced last month’s reading of a new record low. If that sounds like a broken record you have listened carefully. 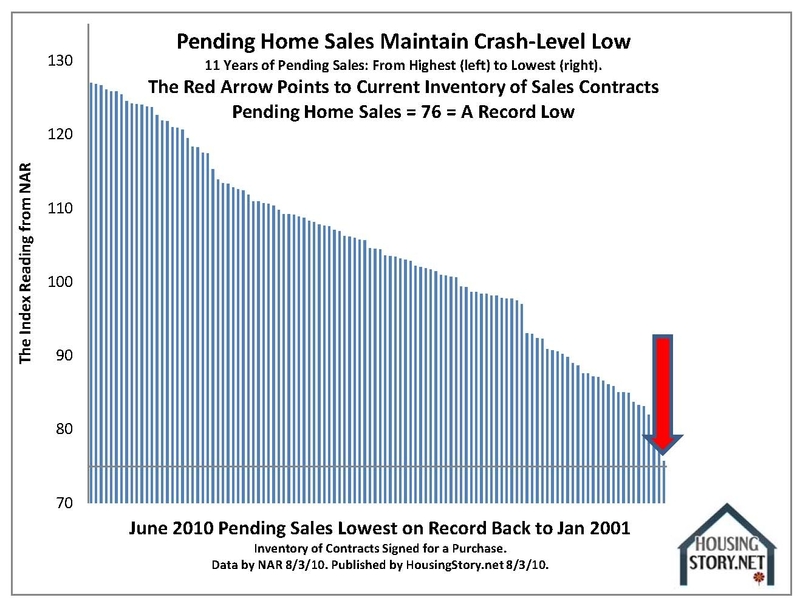 Pending-home sales have fallen below the worst numbers seen in the housing crash and going back to the inception of this measurement. The chart above shows a veritable death march in the state of American residential property. It clearly proves shallow demand. The inventory of signed contracts cannot sustain current price levels. That means prices are falling unless we experience divine intervention states Seeking Alpha.